The original caption (Borchardt) identifies these as farm officials. We may doubt it, given what’s been learnt since about ˤprw and their possibly diverse duties (as in the Sahure case, where they seem to be quasi-military in character). 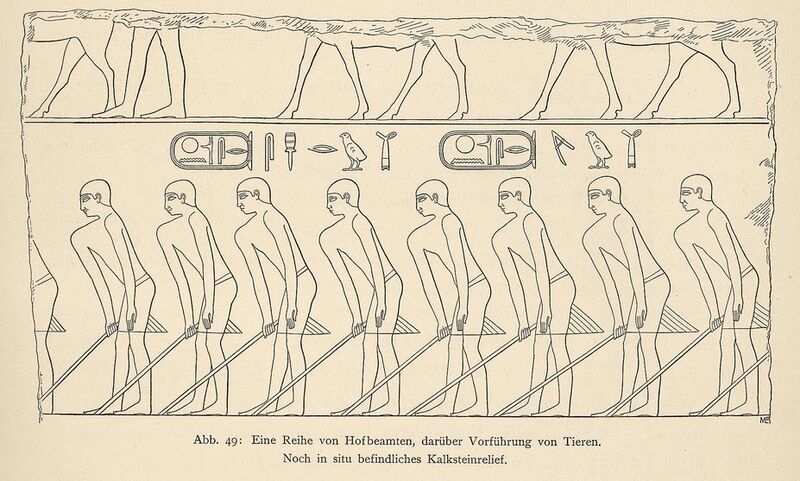 And so (we ask), does it seem at all likely that these Companions of Khufu, Menkaure, Sahure and Niuserre were merely latter-day cultists of these kings?